The International Conference on Mobile and Ubiquitous Multimedia (MUM) is a leading annual international conference, which provides a forum for presenting the latest research results on mobile and ubiquitous multimedia. The conference brings together experts from both academia and industry for a fruitful exchange of ideas and discussion on future challenges, in a comfortable and effective single-track conference format. 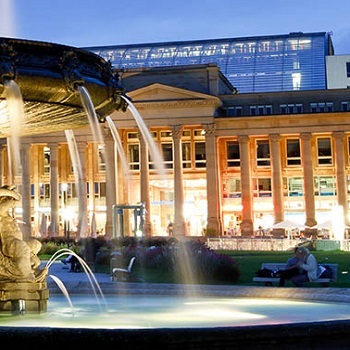 The 16th International Conference on Mobile and Ubiquitous Multimedia (MUM 2017) will be held in Stuttgart, Germany, November 26 – November 29, 2017. It is organized by the Institute for Visualization and Interactive Systems, University of Stuttgart, Germany.